I am proud to be recognized by VMware as a vExpert for 2016! I am more proud of the fact that I am 1 of 3 from ENS-Inc. that have been recognized by VMware as vExperts for 2016! This is Jason’s Coleman‘s 3rd year as a vExpert and Jeff’ Green‘s first recognition as a vExpert! The VMware vExpert program is VMware’s global evangelism and advocacy program. 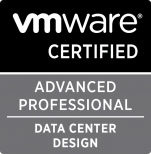 VMware recognizes vExperts with a certificate. vExperts who participate in the program have access to private betas, free licenses, early access briefings, exclusive events, free access to VMworld conference materials online, exclusive vExpert parties at VMworld and other opportunities to interact with VMware product teams. They also get access to a private community and networking opportunities. Currently, VMware has three paths to become a vExpert: the Evangelist Path, the Customer Path and the VMware Partner Path. The Evangelist Path includes book authors, bloggers, tool builders, public speakers, VMTN contributors, and other IT professionals who share their knowledge and passion with others with the leverage of a personal public platform to reach many people. The Customer Path is for leaders from VMware customer organizations. The VMware Partner Network Path is for employees of VMware partner companies who lead with passion and by example, who are committed to continuous learning through accreditations and certifications and to making their technical knowledge and expertise available to many. This can take shape of event participation, video, IP generation, as well as public speaking engagements.